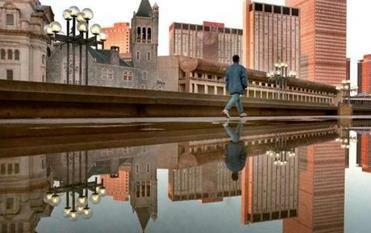 The Prudential Center complex rises behind the Christian Science Plaza’s reflecting pool. 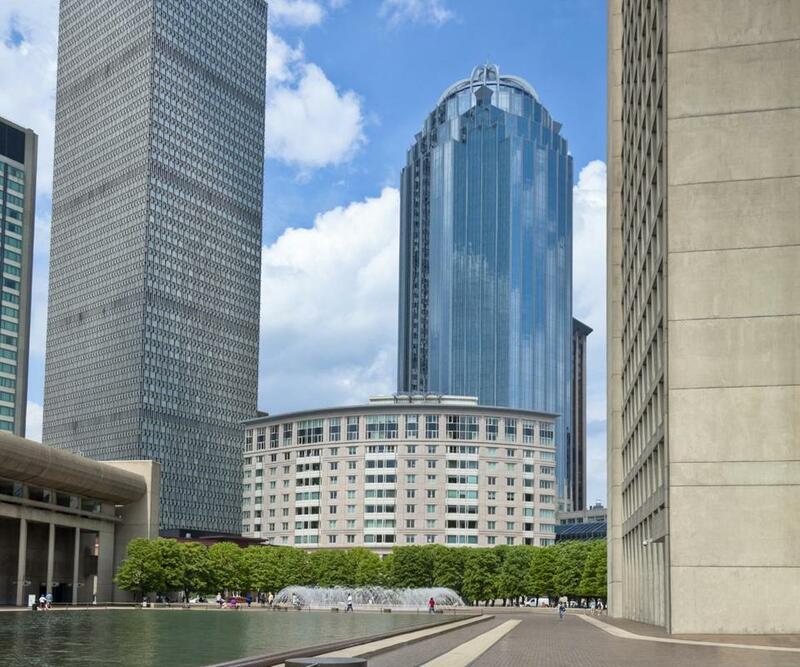 The Christian Science Plaza now has a developer, and construction cranes will soon follow. Last week’s selection of Cambridge builder Carpenter & Co. as the plaza’s lead redeveloper marks a rare instance when a monumental urban renewal-style property will be dragged into the future by the High Spine, the dense building pattern that saved Boston from urban renewal. The redevelopment is a watershed moment for Boston, but it’s also likely to prove bittersweet. The city desperately needs to duplicate the type of work that will happen at the Christian Science Plaza, but it’s unlikely that will happen for some time to come. The Christian Science Plaza distills a generation of Boston building into a 15-acre plot. It’s enormous, it’s encased in concrete, and it rose, by design, above the bones of the old, pre-war brick city. The 1960s-era plaza — a long reflecting pool, ringed by modernist office buildings — is a close cousin of the Government Center and West End urban renewal projects. These projects all tried to jump-start an economically listless city by paving under older structures in favor of sprawling concrete campuses. Large-scale building projects in the urban renewal era favored grand gestures and surprisingly low building densities. If Boston had continued building in this vein, the city today would be desolate, sparsely populated, windswept, and unable to sustain shops and restaurants. It isn’t, because the notion of Boston’s High Spine took hold and supplanted the big urban renewal-style campuses. The High Spine — the series of towers stretching from the Financial District through the Back Bay — allowed building, without bulldozers. It provided a development output that stood alongside, not in place of, the nearby brownstones. The turn toward this kind of dense, urban-scale growth saved Boston by preserving what worked best about the old town. The High Spine currently terminates at the Christian Science complex’s old administration tower. The new redevelopment program (a 50-story hotel and condominium tower and a 20-story apartment tower Carpenter is building on Belvidere Street, along with a future Huntington Avenue office tower) will draw the spine firmly into the Christian Science plaza. It will bring density to a block that is now a temporary gathering spot, and tie the plaza more closely to the Back Bay and South End, while preserving the pool in some form. The Christian Science Plaza is unique among its peers. It’s the only one of its generation of 1960s New Boston mega-projects that succeeds in adding to the city. The plaza’s reflecting pool and fountain are gathering places and hubs of activity. They embrace the city around them, and do so with a purpose. The same can’t be said for the plaza’s concrete cousins across town. One of two towers to be built would be 50 stories, making it one of the tallest buildings to hit the city skyline in years. Builders threw the same overwhelming ambition that’s on display at the Christian Science Plaza into Boston City Hall, the John F. Kennedy federal building, and the state’s Lindemann-Hurley government service center. Those places, unlike the plaza, actively disperse crowds. The sprawling Government Center urban renewal zone, which stretches from old Scollay Square into the West End, chased high art at the expense of the urban experience. It’s not just that these buildings span abnormally huge city blocks, or that they’re frequently named among the city’s ugliest structures. Their great crime is the way they hold the city at arm’s length. They create vast oceans of nothingness on blocks that should be among the city’s busiest, since they sit between Beacon Hill and Boston Harbor. The Christian Science Plaza has none of the flaws of its Government Center relatives. It’s the only one that works as an urban space. Still, it is undergoing redevelopment because the church that owns it wants to strengthen its finances. But at the sites that really need attention, like Boston City Hall, the Lindemann-Hurley complex, and the JFK Building’s low-rise branch, public ownership stands in the way of fixing urban renewal excesses. Bureaucratic inertia trumps the immense effort needed to undo decades-old damage. That leaves the development opportunity to the Christian Science Plaza, the place that needs it least.